Warrington College of Business graduates Justin Jackrel, David Tarabocchia and Aaron Topol received the University of Florida’s 2017 Outstanding Young Alumni Award. The Outstanding Young Alumni Award was established by UF’s Alumni Association to recognize alumni ages 35 or younger who have distinguished themselves in their profession and community. Tarabocchia (BSBA-MGT ’04, MS-DIS ’06) is a managing director in KPMG’s management consulting practice, based in Tampa and specializing in CIO advisory services. He serves as the leader of KPMG’s southeast U.S. technology infrastructure services as well as the global lead for KPMG’s IT advisory services in hospitality. David has a strong background helping technology organizations create business value, navigate business change, optimize IT investments, transform IT capabilities and deliver IT with confidence to achieve business goals. David’s current and past clients include some of the leading entities in the media, entertainment and hospitality industries. Q: What is the best memory from your time at Warrington? Q: How did your time at Warrington prepare you for your current role? Q: How meaningful was it to receive the Outstanding Young Alumni Award? Topol (BSAc ’04, MAcc ’04) is a Partner in the International Tax Services group at Ernst & Young, a global leader in assurance, tax, transaction, and advisory services. He has been based in both New York, N.Y., where he worked with the Transaction Tax practice on cross-border acquisitions and dispositions, as well as Atlanta, Ga., where he provides tax advice to large multinational companies on their global transactions as a member of the International Tax Services group. Topol has been awarded the Mike Baldasaro Exceptional Client Service Award, which is given annually based on client feedback, and was a distinguished instructor with BNA/Center for International Tax Education. 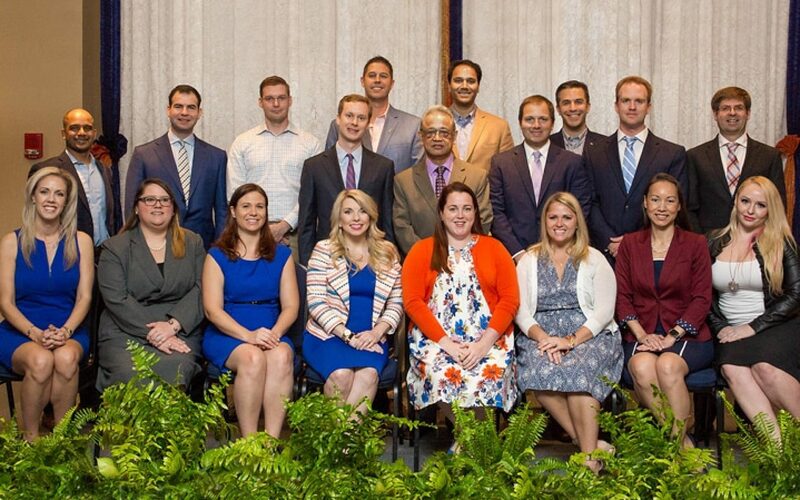 Topol is also on the Atlanta Steering Committee for the International Fiscal Association, and in 2016 was the Americas sponsor for the Young Tax Professional of the Year competition, which was established by EY to reward and foster the next generation of tax leaders. Recently, Topol was asked to lead EY’s United States tax desk in Asia, which will require him to move to Hong Kong in summer of 2017. Topol received his bachelor’s and master’s degrees in Accounting in 2004. Jackrel (BABA ’05) is the president of Bintelli, a power sports manufacturing and distribution company that specializes in electric vehicles, scooters, go karts, electric bicycles and ATVs. Headquartered in Charleston, South Carolina, Bintelli has dealerships around the country and serves notable customers from Google, Halliburton, Tanger Outlets and the United States Navy. Bintelli has been named to the Gator100 list twice and in 2016 was named to the INC. 5000 list, ranked as the 2,807th fastest growing private company in the United States. Jackrel was previously named to the Empact 100 List, comprised of the top 100 entrepreneurs in the country under the age of 30. With this honor, Jackrel was honored at the White House and U.S. Chamber of Commerce in Washington, D.C. In 2016, Jackrel founded Flagship Powersports, a consulting company which aids young entrepreneurs in creating and running their own powersports dealership. Most recently, Jackrel began volunteering at a high school in Charleston, aiming to teach students important principles prior to graduating. Over the course of 15 weeks, Jackrel works with the students to open their own business – including fundraising, corporate setup, purchasing, marketing, transacting sales and liquidating the business at the end of the semester.